August is a crazy month for you parents. Back-to-school has malls and grocery stores in havoc with sales to get your children equipped for the first day, picture day, and well… the rest of the year. Amid all the commotion, one thing we may overlook is your children’s teeth. We’ve constructed a back-to-school dental hack guide to make sure your children’s smile is ready for the new school year! Kids are naturally excited for back-to-school, probably because it indicates a huge shopping spree — clothes, shoes, supplies, etc. Add oral hygiene tools to your list to get your kids just as excited for them as they are for apparel. Let them choose a cool new tooth brush, fun (ADA approved) toothpaste, a flavored floss to get the eager to use them. Give your children something to look forward to by making brushing their teeth fun! 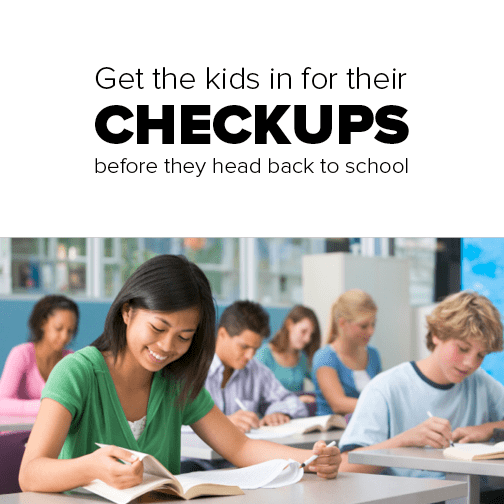 Back-to-school means back to routine for your kids. No more late mornings or evenings (where sometimes brushing habits become compromised). Get them back on track by brushing and flossing your teeth together as a family at designated times. When you show your kids that you’re enthusiastic about your oral hygiene, naturally they’ll follow! Remember to brush for 2 minutes twice a day and floss once a day. If they aren’t scheduled for a dental cleaning, do so ASAP! Give us a call at 206.440.0065. If you think you’re busy now, you’ll get a whole lot busier when your children go back to school. Stay organized and be proactive in ensuring your child’s oral health. Once you receive your school district’s calendar, schedule your children’s cleaning (or both for the year!) with the rest of your family. With this method, you’ll be working around breaks and preventing pulling your kids out of class. It also allows you schedule anything else throughout the year around your family’s appointments, leaving time for fun recreational activities or excursions. During the onset of middle school and beyond, your children may ask for your permission to participate in sports. Schools require a physical exam from your primary physician but do they ask about sports’ guards from your dentist? Some sports are more at risk for injuries to the mouth in which possible teeth fractures can occur. Ask your Shoreline dentist, Dr. Co, if he recommends a sports’ guard to stay protected during your child’s next dental cleaning. If your children are eating school lunches this may be difficult to enforce, but you’re packing their lunches then more power to you! Help your children eat a delicious, healthy, and nutritious lunch. Opt for whole wheat products and include cheese, fruits and vegetables! It’s easy to pack a quick juice box or fruit snacks but be aware that they are high in sugars and too much consumption can lead to decay. Now you have it, the perfect back-to-school dental guide to attack all your children’s dental needs. If you need to get you and your children in for a cleaning, give us a call at 206.440.0065 to schedule well.. the whole family!